A young girl's mutilated body is discovered in a room that has lain sealed for the last sixty years. Her remains are carefully arranged in what seems to have been a macabre ritual. For newly appointed Edinburgh Detective Inspector Tony McLean, this baffling cold case ought to be a low priority, but he is haunted by the young victim and her grisly death. Meanwhile, the city is horrified by a series of bloody killings—deaths for which there appears to be neither rhyme nor reason, and which leave Edinburgh's police at a loss. McLean is convinced that these deaths are somehow connected to the terrible ceremonial killing of the girl, all those years ago. It is an irrational theory. And one that will lead McLean closer to the heart of a terrifying and ancient evil . 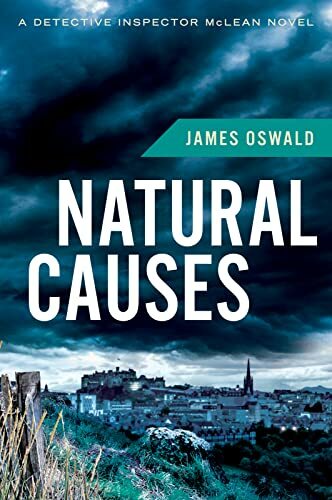 . .
Natural Causes is a chilling and exciting start to a brand new series of mysteries: The Detective Inspector MacLean novels. "Oswald is among the leaders in the new batch of excellent Scottish crime writers. "—Daily Mail [AU PHOTO] JAMES OSWALD is the author of the Detective Inspector McLean series of crime novels. A crime writer by night, during the day he runs a 350-acre livestock farm in North East Fife, Scotland, where he raises Highland cattle and sheep.